We’ve gone through many recruitments, met a lot of great people and finally managed to hire two great backend software engineers. One of them is Piotr Wasiak and the other one will stay in the shadows for some time and you already know our frontend engineer Adam Król. All of them are really experienced engineers so we have a great team to extend in near future. You may also remember we were looking for a perfect place to start the new office. We knew that because of a small size, we would need to start with a co-working space. Biurcoo was very helpful during the recruitment process, but recently we found a place that we absolutely couldn’t resist. It’s called “Zakład Makerspace”. 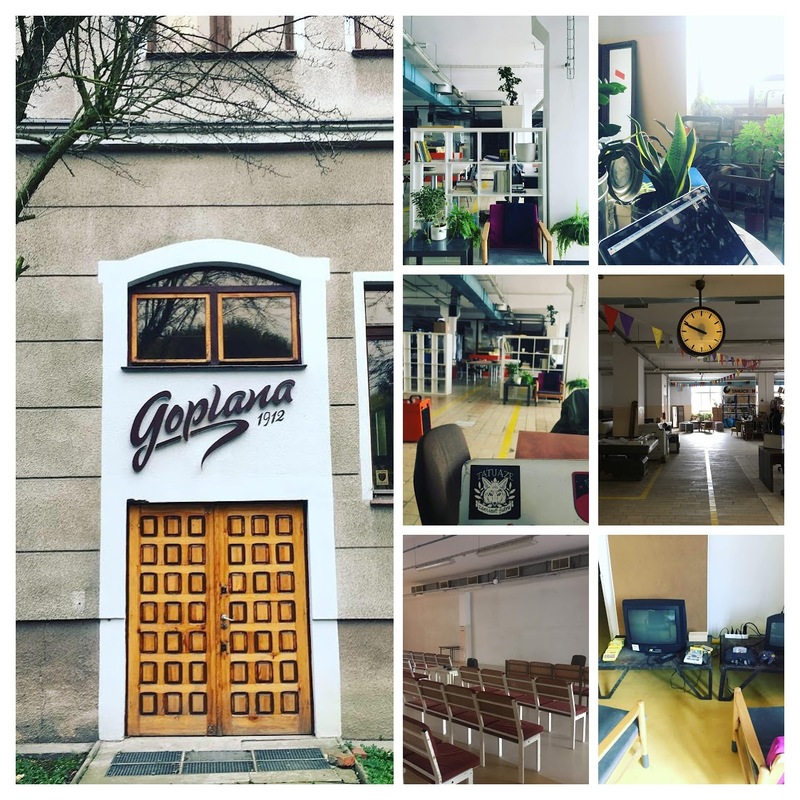 This is an old Goplana Chocolate factory located in Jeżyce, that was transitioned into a Makerspace - which means that there is a lot of things going on in there related to productivity:) Just to give you a short example - they have areas dedicated for IoT and carpentry workshops,, a photo studio, a welding station or even an original pizza baking oven (how cool is that?!) As you know, people of Visuality have different interests hence we try to do a lot of IoT (or even carpentry) projects. So when we saw that, we simply couldn’t say no. Oh, and I also have to mention, that the place is pet-friendly:) There is also a large conference area, so we may be organizing some cool events in the near future. I won’t talk more about the space itself - just come and visit us to see it for yourself (or see this instagram story). Our plans now are to hire few more people and try to make Poznań office a true tribe - so we’re still on a lookout for new talents. If you’re an engineer (both backend or frontend) or a project manager, just talk to us - as always, you can write directly to me (m.piorkowski@visuality.pl).